Theia serves as a training vessel for the Sea Scouts troop – Turun Sinikotkat. Theia is a sloop rigged 47′ one off pilothouse sailing yacht with sandwich GRP hull. The vessel is designed by naval architect Pekka Eivola and built in Turku, Finland. She sails more then 3,000 nautical miles every summer, crewed by young eager sea scouts, aged 7 to 21 years. 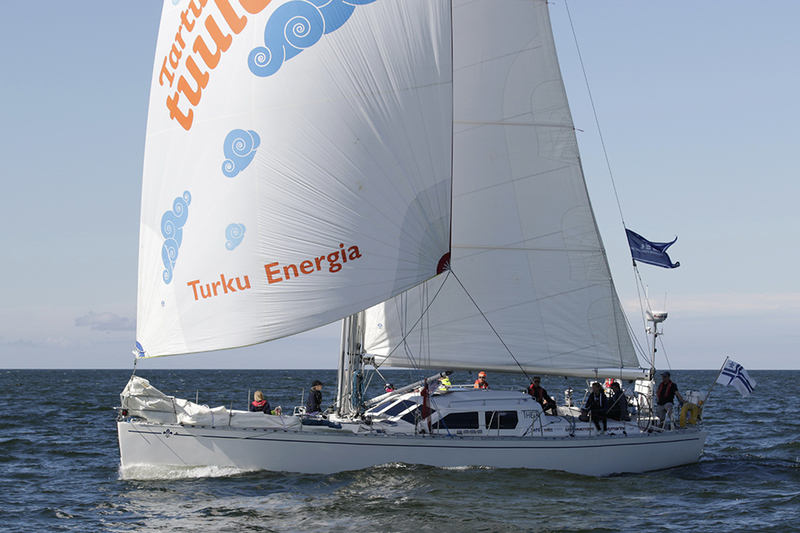 The trips give them a safe way to gain new experiences and adventures in the Finnish Archipelago as well as offshore in the Baltic Sea.